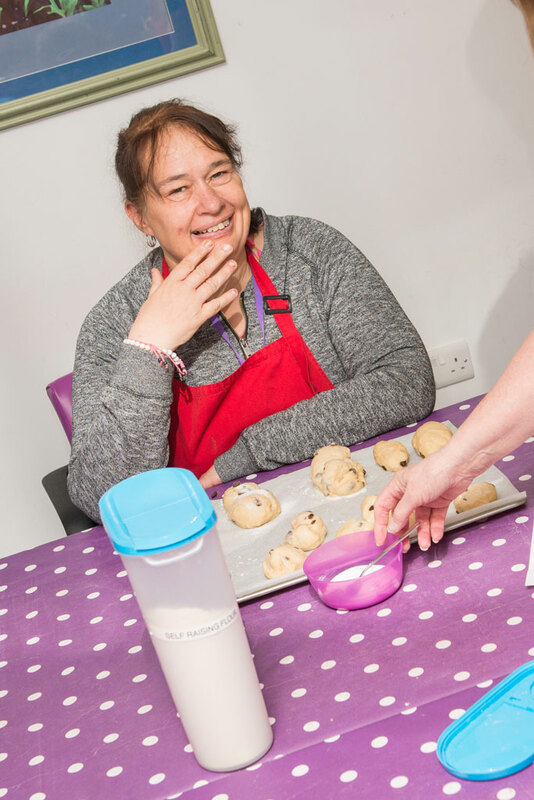 At Dayspace we are committed to providing quality, person-centred activities for people within the learning disability community. 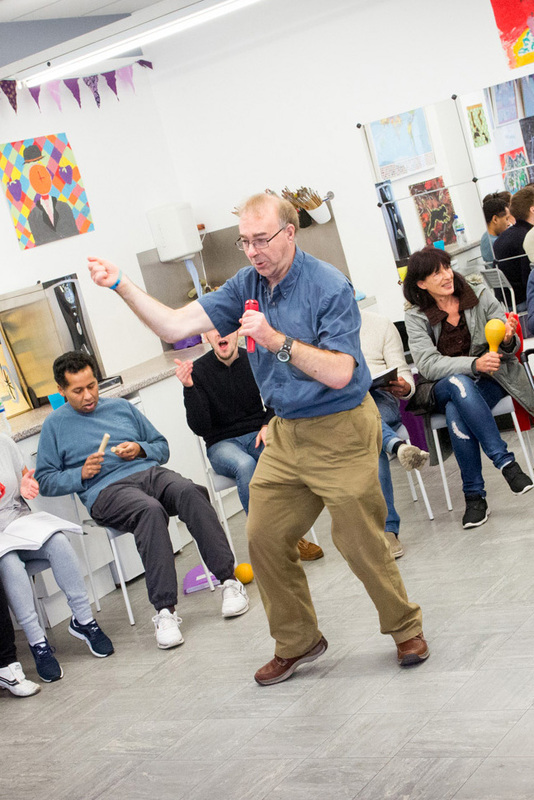 Our vision is to see day services for adults with a learning disability transformed, by creating dynamic activity programmes that are tailored to suit individual needs and personalities. We believe that a day provision should be interesting, challenging, sociable and most of all, fun! So we work hard to create a positive and encouraging environment where customers and their support network all feel part of the Dayspace family. We recognise that everyone has unique needs, abilities and interests. We also think our customers should be at the forefront of shaping their own experience at Dayspace and we value their input. So we regularly review and develop sessions with them to create the best experience we can. We love what we do! And we hope that you will join us in Bakespace, Stagespace, Relaxspace or one of our many other workshops. Please get in touch for a free taster session. I love Dayspace because it is brilliant, fun and wonderful. I most like cooking and dancing and making music. I also meet my friends there. I’ve got a brilliant life. The teams at Caterham and Reigate Dayspace are professional, caring, supportive and are always willing to go the extra mile for all of the service users that they support. With a person-centred approach they bring fun and joy to all their lives. I have seen Rachel grow in confidence since coming to Dayspace. She has developed a stronger attitude and is more positive towards life. 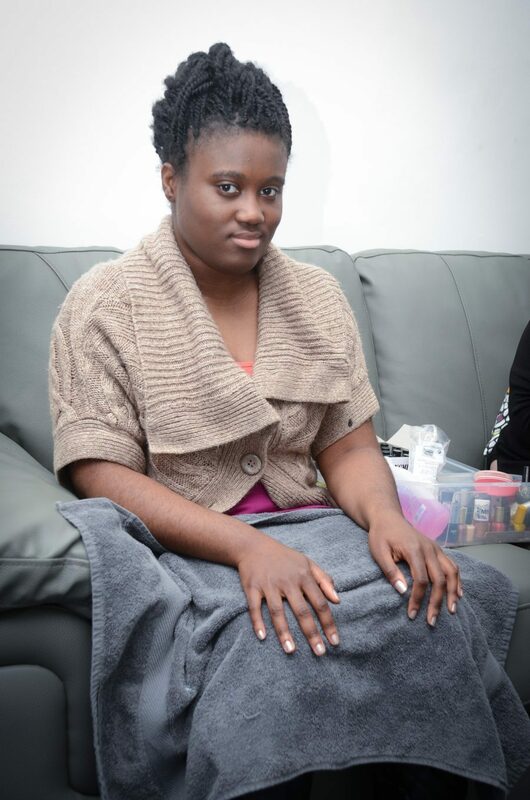 The staff at Dayspace are brilliant and have supported and encouraged Rachel to achieve her goals. We have two Dayspace centres; one in Caterham-on-the-Hill and one in Reigate. From these light, spacious buildings we run a weekly programme of creative and practical sessions for adults with a learning disability. 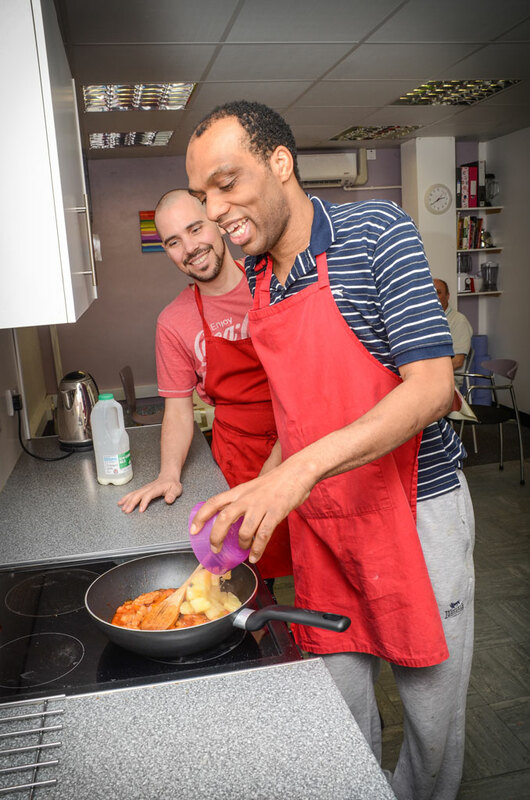 Serving the local community and beyond, we cover a variety of activities including Art, Dance, Cooking and Music. Our strength is in our team – highly experienced support workers who use their creative talents to unlock the potential within our customers. We are open Monday-Friday, from 0930-1630. Please get in touch, we’d love to tell you more about our unique approach to day services. 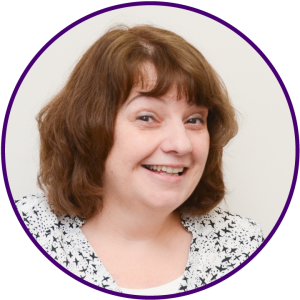 Our founder and Managing Director, Chris Millsted, has over forty years experience working with people with a learning disability. A former Director of Nursing within the NHS, Chris was a key figure in the transition from hospital to community care and the development of innovative new services in Croydon and Surrey. Chris has a passion for seeing adults with a learning disability fulfil their individual potential – becoming fully integrated, equal, and valued members of society. And it was this passion that led her to start Millsted Care in 1997. Millsted Care now run two successful residential homes in Reigate, Surrey. Dayspace was born out of the desire to see better day provision for the residents of these homes, and others within the learning disabilty community. Since 2011 we have been welcoming people through the Dayspace doors to experience our unique approach to day servcies. We are delighted to have been called ‘trailblazers’ in this field and we’re excited about taking the work forward into new areas. We have spaces at both Dayspace centres available to hire for business purposes, private events and regular classes. At Dayspace Caterham our mirrored main space is available to hire after 4.30pm on weekdays and weekends and is equipped with a fully functional kitchen, 1 large room and 1 meeting room. This area is perfect for dance classes, kids parties and meetings. Parking is available at the rear. Dayspace Reigate is equipped with a brand new fully functional kitchen, 3 large rooms (dance studio, art room and main space) which are all available to hire after 4.30pm in the week and all-day at weekends. Our training room, laid out in a boardroom style to seat 10, is available to hire throughout the week and weekends. Parking is also available. Please call to discuss rates for regular bookings. Situated next door to Caterham Angling, around the corner from Coughlans Bakery on Chaldon Road. Parking: Precinct Car Park accessed from Chaldon Road between Eddie’s Cafe and Glow Tanning and Beauty. By Bus: The 400 and 407 buses stop outside the library on Westway. From here it is a 2 minute walk to the Raglan Precinct. Alternatively the 411 from Caterham Valley stops opposite the Douglas Brunton Day Centre on Chaldon Road. Situated on the industrial estate at the top of Albert Road North. Enter the industrial estate and we are the first building on the left up the ramp. Parking: Directly in front of the building to the right in front of the railing. By Bus: The 357, 420 & 32 all stop at the Red Cross pub on Reigate High Street. From here it takes approximately 10 minutes to walk via Nutley Lane. Alternatively the 420 & 460 stop outside Reigate Station and it takes approximately 10 minutes to walk via Somers Road. Were you looking for our residential homes? Our safeguarding policy statement explains what our organisation will do to keep our customers safe. It provides detailed policies and procedures to show how we respond to vulnerable adult protection concerns. As the road surface outside Dayspace Reigate is uneven, please take care and support anyone who may require assistance. The management will not accept any liability for any accidents incurred.